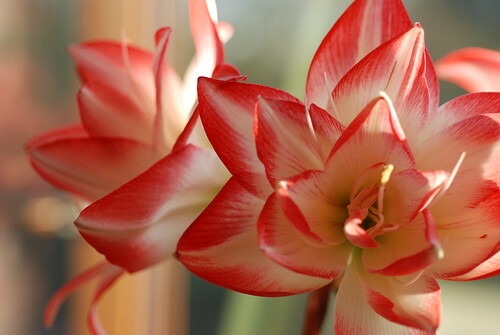 In the language of flowers Amaryllis means both ‘radiant beauty’ and ‘pride’. 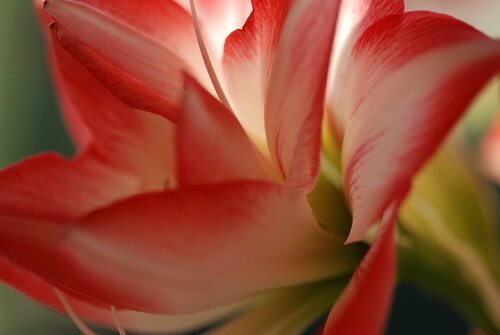 The radiant beauty is easy to spot; these are not shy retiring little petals, but big shouty extraordinary blooms. But the pride? I think I’ve worked it out. 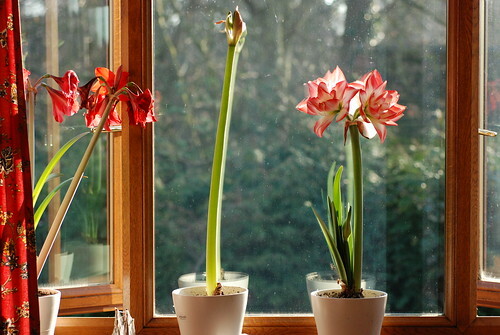 You see my three amaryllis have started to get competitive. 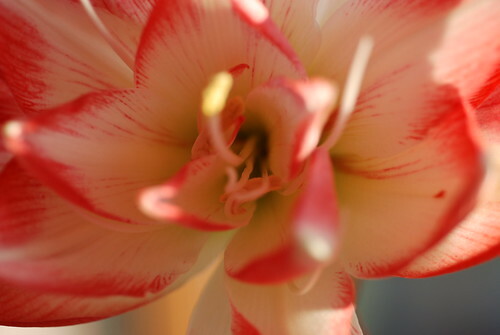 No sooner had I finished sharing the scarlet splash of my Rapido, than Blossom Peacock snuck skywards while my back was turned, and I opened the curtains one morning to find a delicious candy stripped floral explosion on the windowsill. I’m completely fickle I know, but I think this is my new favourite. It’s just such a lovely mixture of the punchy dark pink, crisp white, and that beautiful feathering on the petals, each vein picked out in a slightly different shade. 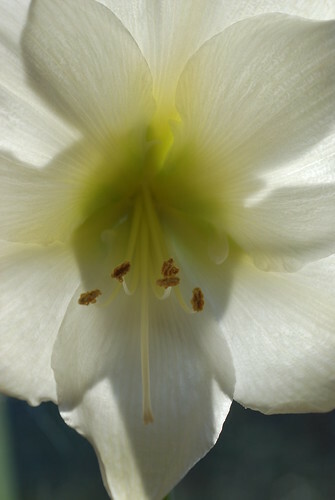 And then right at the centre, a hint of pale lime green. 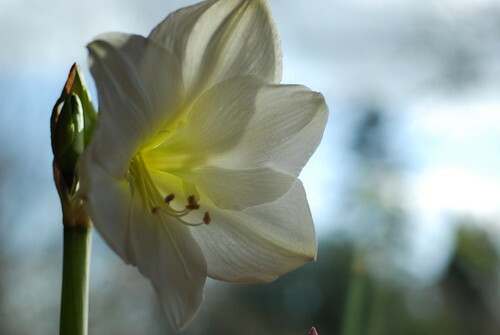 On a sunny day, we wake up to the light streaming through the petals, and on a grey rainy day like yesterday, they brought a smile to my face as I opened the curtains. It wasn’t going to be left behind. 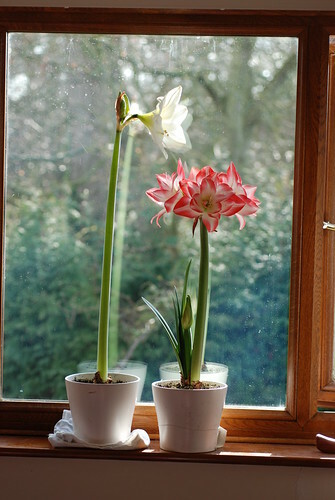 This is ‘the big white one’, otherwise known as Hippeastrum ‘I’ve lost the label and can’t remember the name’. 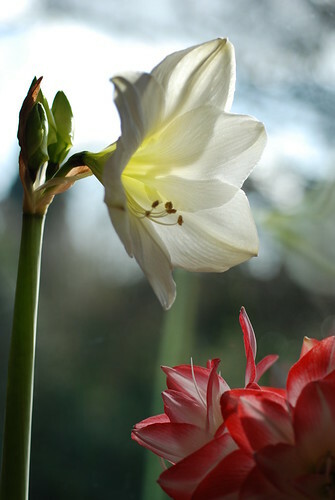 It’s beauty is more in the architecture than in any fancy colours, as you saw in the earlier pictures it’s head and shoulders above the other two, a cool classical column of an amaryllis, rather than a vibrant shot of colour. Next to Blossom Peacock it reminds me of a school prefect, reprimanding an overexuberant junior. My daily sunshine, whether it’s raining or not.